If you have been following the blog you will know that we have been on the look out for a large family car . Some of the cars we have looked at include the Mitsubishi Outlander, The Ford Grand Tourneo Connect and the Volkswagen Sharan . 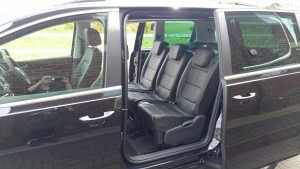 The latest car we have looked at is the Seat Alhambra. 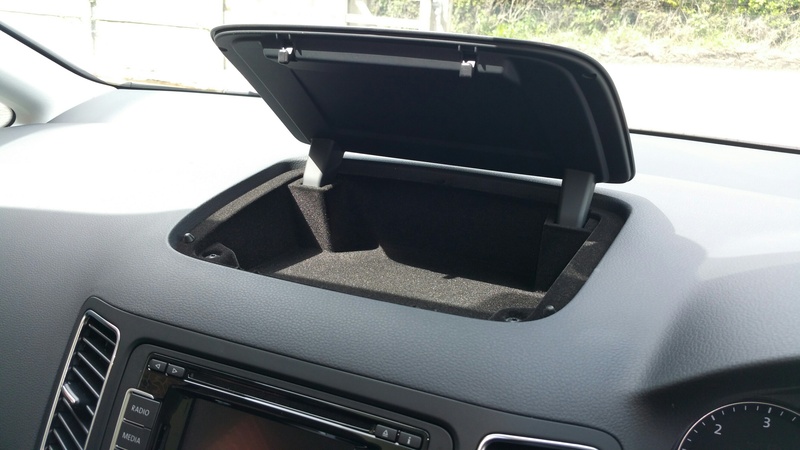 Some friends of ours bought one of these recently, so we were interested to see what this car could offer a large family with lots of ‘stuff’ to transport. Essentially, it is the same car the Sharan, in all but name and a few subtle differences. The electronic sliding doors are superb! Imagine the scenario, you get into the supermarket carpark and there are no parent and child spaces available because they are all full of sports cars without child seats. You curse the selfish people under your breath and drive on. You park in a tight space, the only one available and it’s a windy day. How are you going to get the children out without them bashing the car next to you and how are you going to get the door open wide enough to get the baby seat out of the door? – well you are good to go in this car as the sliding doors mean none of those problems exist! Instantly I’m in love with this car! 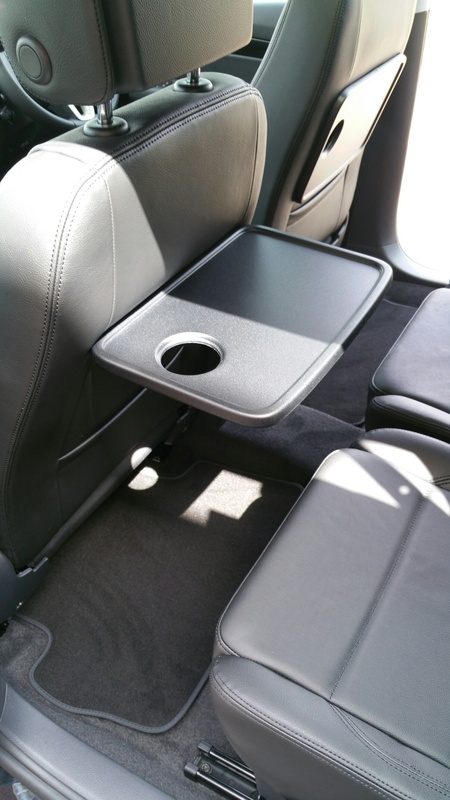 It is so practical and family-friendly. To add to this, if you have a big family and that includes babies and small children in Isofix seats then this is the car for you. 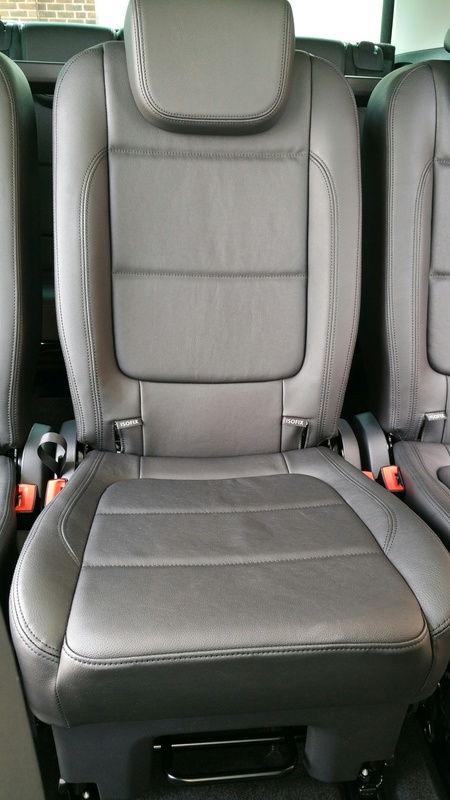 All 5, yes, I did say all 5 back seats are Isofix compatible meaning that you have so many possibilities for configurations, depending on who is in the car and what you are doing. The middle row of seats have these handy ‘in-flight’ tray tables, great for older children on long journeys. 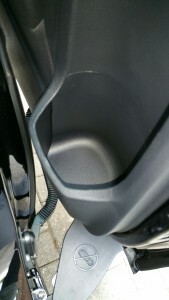 The cup holders are large and deep, as are all the door pockets, so nothing flies out when you get out of the car or go around a tight corner. All the seats fold down, slide forward and maneuver really easily, so there is easy access to the two rear seats. 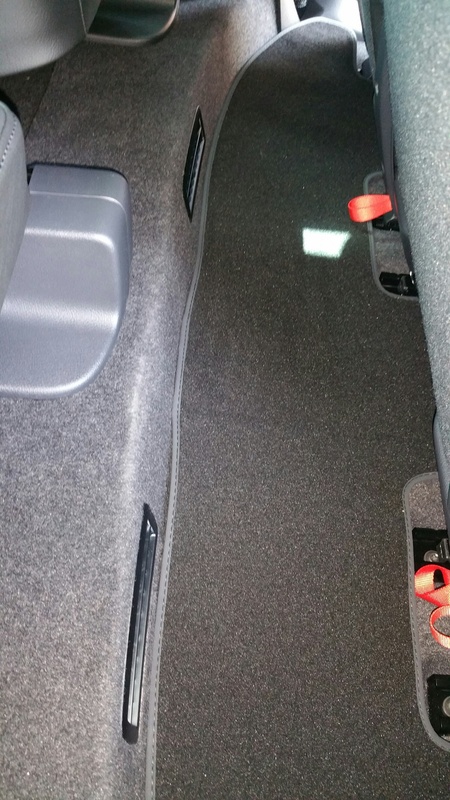 Without any Isofix legs in the way there is loads of legroom in the rear of the car, plenty for an adult to sit comfortably in there. 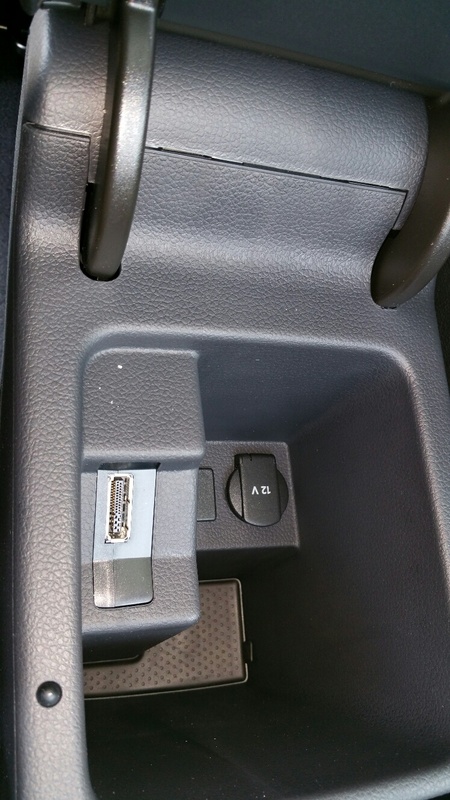 There are lots of charging sockets in the car, so all family members can stay fully charged on the go. 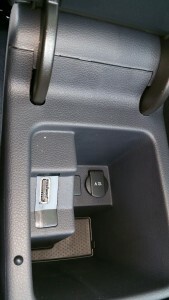 There is a really handy storage pocket in the centre of the dashboard, perfect for phones, sunglasses etc. The middle seat is a full size seat so you don’t just need to put the skinny one with the small bottom in that seat, anyone can fit. If you are like us and don’t travel light then let me introduce you to the handy and deceptively spacious under floor storage. 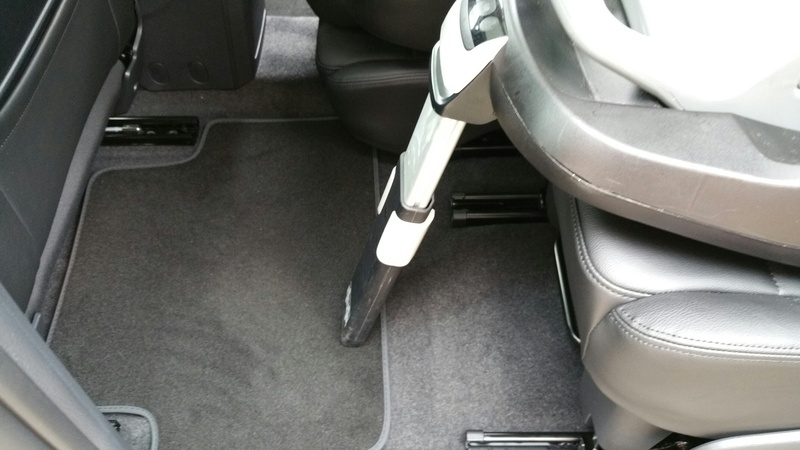 You can see that even with the Isofix leg out there is plenty of room for bags in the footwell. 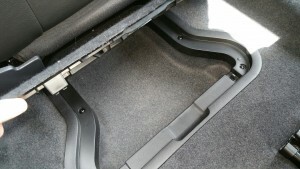 For example, a Trunki will fit in here easily. 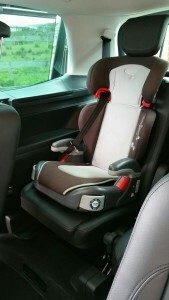 Most types of car seats seem to fit snuggly on the seats, so you shouldn’t have a problem with whatever you have for the children. 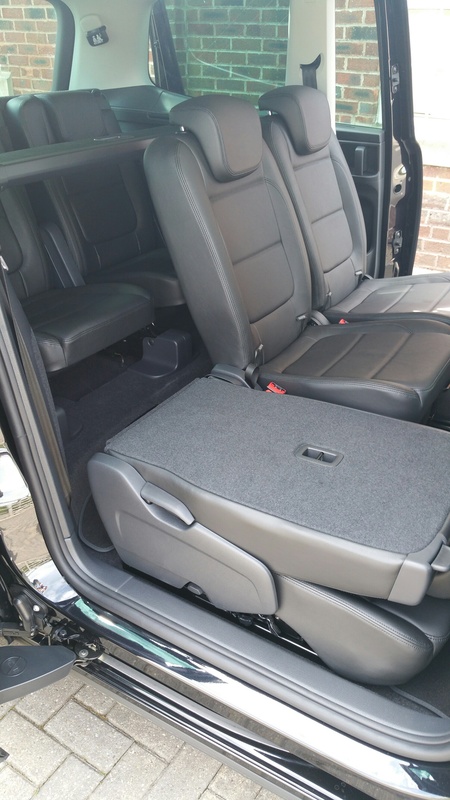 With the two back seats down, the boot is huge and you could even take the kitchen sink if you wanted to. 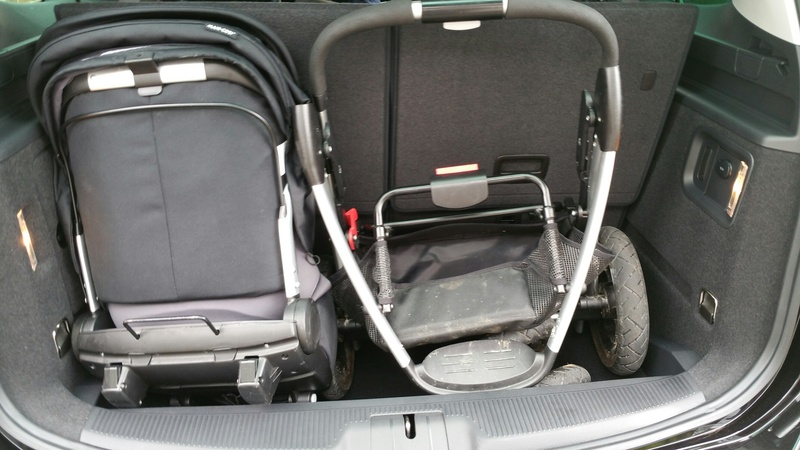 With those seats in use the boot takes a pushchair and not much more. Having said that, ours is quite a bulky one and I am not sure I have packed it in very well here. I’ve prepared a list of pros and cons of the Alhambra to help you decide if this could be the car for you. You will notice that there are way more pros than cons to this car for a large family and I have to say, of the cars we have tried so far this has ticked the boxes for us the most – for moving a large family around economically, I really don’t think anything else compares. Just had a look, and it seems they aren’t available new any more which is a shame, but there are plenty of used one with fairly low mileage about. 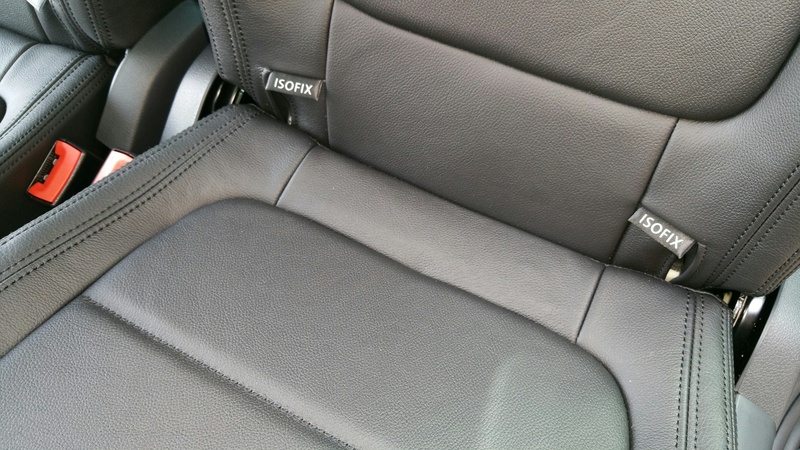 We have an American Honda Odyssey that has all of these features. The sliding doors and full sized seats on all three rows are possibly the best things ever. I love my car!!!! Oh that sounds fab too – we love American cars 🙂 The sliding doors are so good aren’t they !